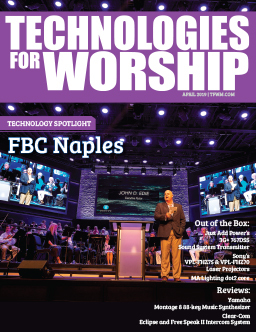 TFWM: As Industry Team Manager, Installed Sound, what is the focus of your division and how will that focus impact the Houses of Worship segment of your business? David McNutt: Our focus is squarely on contractors and system integrators who support many types of installed systems, but especially the house of worship segment. Sennheiser has a strong sixty-year reputation for high quality, solidly engineered products for broadcast, theater and live sound customers. 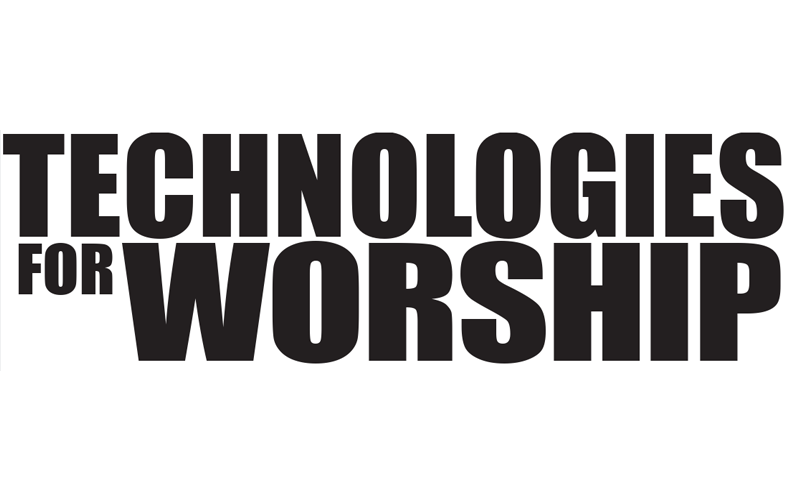 My focus is to play a part in guiding our company to provide the products, distribution, training, and education to successfully apply our products in worship technology systems. Since I come from a production, system design, and installation background, much of which has been in churches and performing arts venues, I hope this helps us build lasting relationships with our house of worship customers. TFWM: Based on your industry knowledge and background in installed sound what to you foresee for the near future in the HOW market? DM: The greatest challenge for churches that I see is the chasm between the rapidly growing technology needs of the church, and the more slowly growing technical capability of its members. It’s important for us as a company to use our knowledge and resources to help educate our end user customers as well as our contractor/dealer base. The difficulty many churches face is to not let technology strategy dictate ministry strategy. When the ministry direction is fixed, then technology can have a huge influence on success. That’s why we support so many independent training seminars and have developed and launched our Sennheiser Sound Academy. We will be focusing much of this education on the house of worship customer. TFWM: Looking at your company’s product range, what portion of your line will be concentrated in House of Worship segment? DM: Well, nearly all of it, really. Microphones, wireless, loudspeakers, processing, amplification. Sennheiser products include professional vocal and instrument microphones, wireless microphones, and performer in-ear-monitor systems. And Neumann microphones hold a number one ranking in high-quality recording and production microphone category. A number of new products from Neumann are perfect for the performance and production that enhances a worship environment. Depending on the facility, almost any of these products has an application. TFWM: In addition to Sennheiser and Neumann, what other Sennheiser brands will impact this market? DM: The Sennheiser Group also includes Klein + Hummel loudspeakers and production monitors which are used all over the world but are relatively new to America, except in Hollywood movie studios. 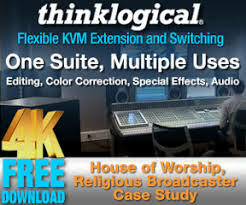 We also distribute Turbosound, a full line of large-format installed sound loudspeakers; and Australian Monitor, a line of products aimed at smaller house of worship facilities, that includes amplifiers, signal processors and rack mount mixers. TFWM: To grow the HOW segment, what message do you want to get out? What corporate strengths will you draw on to accomplish this? DM: The point of organizing our company around channels, Installed Sound, House of Worship, etc., is to align our company with the needs of our customers. We have a broad line of products that are professional, high quality, and truly exceptional. Educating our market, from contractors to customers, on the science and best professional practices of our products is our paramount objective. We do this through our marketing staff around the country, our application publications, and our website. The more we educate, the more customers tend to choose our products. TFWM: Is there an aspect of the House of Worship market that makes it a unique challenge to successfully work with? How is Sennheiser poised to address this challenge? DM: Unlike other market segments such as government, corporate, or even education markets, the house of worship market is uniquely passionate. When you take this passion and mix it with many of the things I’ve mentioned, you wind up with an end user that looks for and expects more detailed information, greater personal attention, and a faster response. Unlike most manufacturers, Sennheiser employs its own dedicated work force around the country. These people are equally passionate about what we do and are a direct extension of company management. These professionals have one goal: to develop the market by educating and assisting our customers on a more local level. We still sell through our network of contractors and integrators, but this added presence in the market makes us unique. Customers see our passion as well.